Google’s ATAP unit now has a history of producing short movies and interactive experiences to showcase how storytellers can use mobile technology to create new experiences for their audiences. 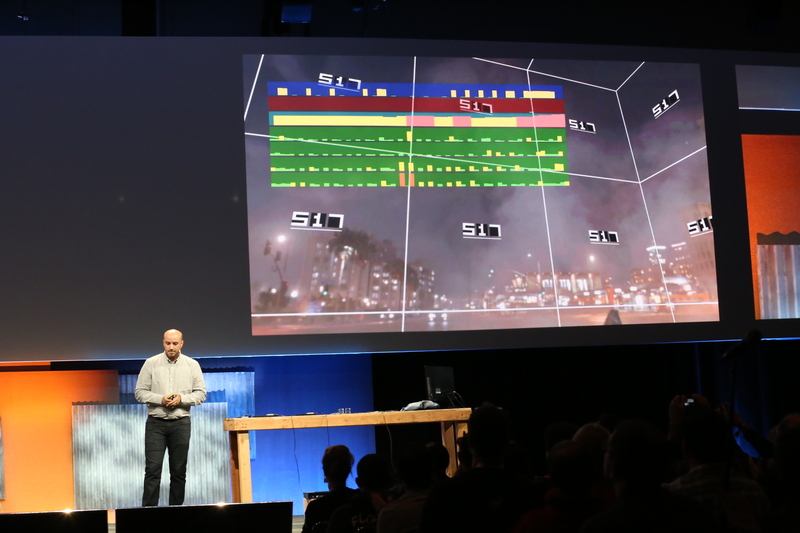 Today, at the company’s I/O developer conference in San Francisco, ATAP debuted its latest spotlight project. The team worked with director Justin Lin (Fast & Furious 4, 5, 6; Star Trek 3) to create the organization’s first live-action Spotlight story, a short film about an alien attack on a city (L.A., we think). The team also showcased a Story Development Kit for developers and artists who want to use the same tools ATAP uses to create these stories. It’s unclear when this will become available to the public, though. “We are making a mobile movie theater and it opens today,” ATAP chief Regina Dugan said. “In every ATAP project, we see the inherent creativity of others at work.” Humans want to experience and engage with stories, and the Spotlights Stories project aims to push the format by using the mobile devices and other technologies. 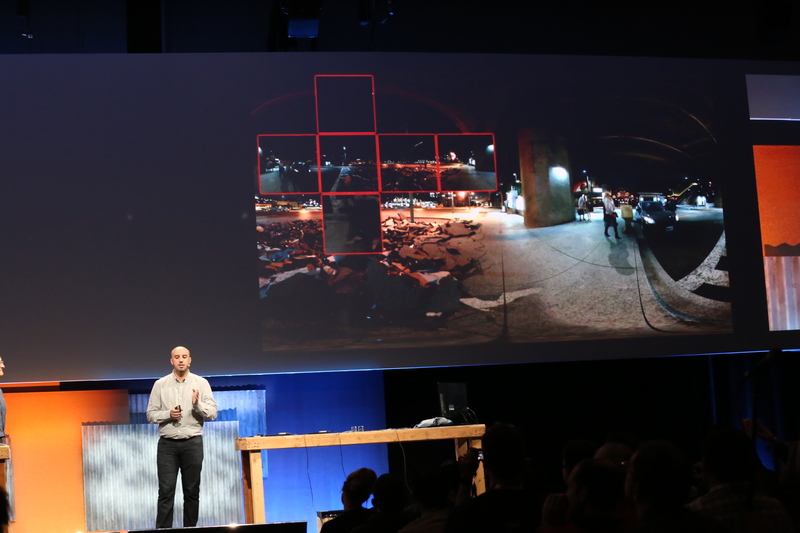 The team used four Epic RED 6k cameras to shoot the new experience. Few devices can play back all of this data, of course, but it turns out that the user only needs to interact with a maximum of 25 percent of the data at any given time anyway and so the system only renders what you need to see at any given time. And obviously sound is a major feature of the regular movie-going experience, so the team developed dynamic virtual surround sound using techniques like ambisonics and binaural rendering. As for the SDK, the team says it decided to work with the tools that directors and creators are already familiar with, including tools like Maya and other existing formats. These typically aren’t used on mobile, so the team had to ensure that all of these assets could run on mobile at 60 frames per second. The SDK comes with a story editor, so when you are using your phone or virtual reality device, the software can see where you’re looking and then react accordingly. You may want to wait until the viewer is looking at a character, for example, before you continue the story. ATAP’s previous efforts include Duet, a collaboration with veteran animator Glen Keane, as well as Windy Days, another short animated story the company also later adapted for its Cardboard virtual reality viewer. ATAP says it’s already working on the next movie, too.